How Jesus Lopez-Herrera found a Profitable Niche Market and Systematized His Business so that it Runs Without him Successfully! In today’s interview Jesus Lopez-Herrera the owner of the Salvage Reseller website reveals How he found a profitable niche market selling salvaged auto parts online and how he systematized his business so that it runs successfully without him. You will discover how he drastically reduced his workload by automating most of the processes in his business so that he and his employees can close more sales with less effort than his competitors. How Jesus enlisted the help of a programmer to build an integrated solution for his website. How Jesus was able to cut down on the amount of paperwork that needed to be done. How Jesus uses search engine optimization (SEO) to attract buyers to his website. Why Jesus has his employees send their ideas and feedback to his programmer. Why Jesus believes the only thing his employees needs to know is how to play the game of his business. How Jesus tracks the results in his business by observing registration numbers. How Jesus was able to reduce his workload and step away from his business that runs without him. Why Jesus believes that finding a niche is an important part of starting an online business. EchoSign for integrating e-signatures to your sales process. 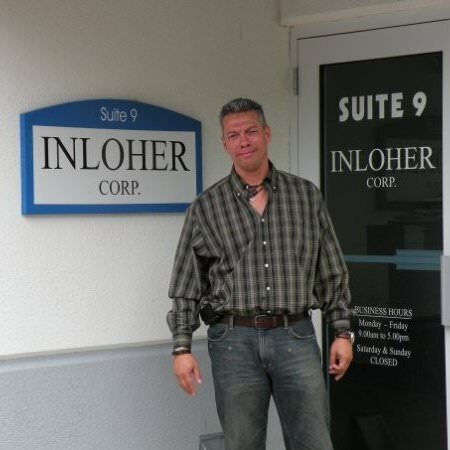 OWEN: My guest today is Jesus Lopez and he is the CEO of Inloher Corporation, which is owner of Salvage Reseller website. Jesus welcome to the show. JESUS: Thank you Owen. How are you? OWEN: Doing good. So let’s jump right in. I guess first of all we’re going to be focusing primarily on the aspect of your business that runs the salvage reseller website. So what exactly does that business website do and what big pain does it solve for your customers? JESUS: Okay, salvageresller.com is a Copart registered broker website in which we allow people that doesn’t have the license to be able to purchase vehicles. Copart.com, which is a dealer’s only auction. And these vehicles, the vast majority of the vehicles are salvaged title cars. That’s why you need a license in order to buy vehicles from here. OWEN: Okay, so Copart is like the dealer license place where you have to be a dealer to buy vehicles auction from there right? That’s what Copart does. JESUS: Yeah, Copart is the auction. JESUS: The auction and I’m one of the brokers. OWEN: Okay, and then now you now use your website as a means of who are not dealers per se to be able to buy from your website as well, the parts. JESUS: Yes. The general public can go to my website and once they’re registered, they get a dealer number and a password that allowed them to log in at Copart.com and bid on the vehicles like if they would be a dealer. OWEN: Okay. So let’s jump right in. So how many full-time employees do you have? OWEN: That’s good. And then, my listeners always want to know in terms of how much the revenue the business is generating. So what was last year revenue and what do you expect to do this year? JESUS: Last year was 5.4 million and this year hopefully over 6. OWEN: That’s awesome and so let’s go back to before the point where the business is right now where for the most part is systematizing, you automated a lot of the processes there was a point where it wasn’t like that. So let’s jump back to the lowest point of the business and describe how bad it got. JESUS: Okay, well initially we would transfer all the vehicle information manually. And that was really time-consuming task because it’s over 70,000, 75,000 vehicles for sale at any given time. So we would in one day maybe upload between 12,000 or 15,000 only. JESUS: Yeah, then we connect it to a database that Copart provides. OWEN: During the pre-interview, you mentioned you won’t do that aspect of the business where you manually upload it. And it would take you several hours away from your 3 a.m. all the way to very early in the morning just to get that done every day. JESUS: Yeah, we take it until 4 or 3 a.m. in the morning just to upload 15,000 vehicles. OWEN: And you also have your issue of– Go ahead, sorry about that. JESUS: Yeah. And all the pictures and all the vehicle details and all that. OWEN: But then we develop a software system that basically gets a sales data file that Copart provides. And we get all the vehicle information from there and we upload that. It’s updated about every 15 minutes. JESUS: And we have all the vehicle information, all the pictures, all the bids, everything. OWEN: And we’ll talk specifically about how you solved the problem. I just want to paint what was exactly going on at the time when you decided you will have to change the way things are done. And also, the other issue you mentioned during the pre-interview was regarding the sales documents. OWEN: Talk about that too. JESUS: Well, at first, I was alone here I didn’t have any employee. JESUS: So at first everytime we sell a vehicle, we would sell a vehicle, I would manually enter all of it, buyer’s information, all the vehicle’s information, title, generate documents like deed of sale, the power of attorney if the buyer lives in Florida. Then affidavit, the emails letting know the buyer that he bought the vehicle, that he won the auction. And all the payments that they had to make. Every time that I sell a vehicle, it would take me between 30 to 40 minutes to generate everything, and scan it and emailed it to the buyer if I don’t make any mistake. But if I don’t get interrupted. So everytime we sell a vehicle they would take us a lot of time to do that. Now, I just have to enter the lot number of the vehicle and the buyer’s ID and the system generates everything and sends emails, everything to the buyer. Right now, the buyer can even sign electronically the documents. JESUS: Yeah, they only need to print the power of attorney which we need an original. OWEN: And we talk about how you solve the problem cause I really want to paint the picture correctly for the listener because when they hear this and they just learn how what the problem is and how you solve it, they just think, “Oh, it was a snap of finger.” But I really want to dive right in, and that’s going to be the next question to ask. But I’m also curious, what was the point in the business where you were like, “You know what, you were doing something specific.” This cannot be, I have to change it, I would like to remember the story that prompted that. JESUS: Well, I came to that conclusion very early. It can be done the way I’m doing it. It has to be automatically because if we do it manually I would have to hire a hundred people to do everything. JESUS: So what I did is I hire a programmer and we started working with him. I send them all the– Well, first of course I gave them access to the sales data file so he can transfer all the vehicle information to my website. Then I provided him with the documents that I need the buyers to sign. JESUS: And he put all those documents on the system too. He’s a very skilled programmer. When I look for him, I had about 14,000 programmers available and only 6 programmers I remember had the skills needed to do this task. JESUS: So I’ve been fortunate enough to be working with him for over 5 years now. OWEN: Okay, Let’s break that in and dive in, and give some more meat to that. The very first thing you realized that you need to was get a programmer to come in and build an integration where you can basically take– Since you’re depending on this other website which is the Copart website. That is the auction website, right? You need that data, you first of all have to get a programmer to come in and gather all the data automatically from that website and basically, automatically upload them into your website. So that it’s available on your website for you to see the different items that are for sale. The next thing I got after that was what was the next thing? You now had to build a software to export and upload the data so that it was like 10,000 to 15,000 vehicles a day. Explain that. JESUS: Yeah. The sales that are filed from Copart have about 100,000 vehicles. JESUS: It is updated like every 15 minutes and we update the website also every 15 minutes. On top of all that, we also have bidder numbers and passwords that their login information, we need to, we give to our buyers, so they can login at the Copart website. That is another part of the software too, in which we enter all those bidder numbers and passwords. And everytime someone registers in our websites, they get by email that bidder number and that password provided by Copart. So they are able to login at Copart website too. OWEN: Yes, so, what had you did the solution to solve the automatic upload of the document, upload of the data from the other website. And then the other issue that you described earlier was the sales document. Now, you also had the program build. What solution does this programmer build for the sales document? JESUS: Well, what we did am also I provided, I explained to the programmer what we needed and how it needed to work. And right now, the process is that when somebody registers on the website on salvagereseller.com. They can be signed also the document. We get the document, they send an I.D. And once we have the I.D. and the document is signed, we just click on activate and it sends the new buyer, the login information they need to login at the Copart website. JESUS: And from there when they register they have to pay a security deposit. So that’s all. And when they register they pay the security deposit and that allows them a certain number of vehicles to be purchased on the Copart website. Then they can increase it if they want for each $400 that they increase or they have a security deposit. They are allowed to buy an additional vehicle up to $4,000. OWEN: Ok, and so I get how we kind of solve the problem. I want to take to the point where you just decided you wanted to get a programmer. Because the listener that might be listening to this might be in a similar situation where they have to build a custom integration like you’ve built to solve a problem that they have in the business. But they might be wondering what was your process for going about to find that person that was the right fit to work with in the first place. Can you take us back to the steps you took before you even found this person? JESUS: Yeah, I don’t know if I can mention other websites here. OWEN: Yeah, go ahead. Feel free to mention as many resources as you can. JESUS: Okay. I went to Odesk.com. I don’t know if you know Odesk but it’s I think what you call a freelancer website, where you find programmers, designers, a lot of people that works freelance. And I made a search because I previously had 1 programmer here in the United States that the first we did was to show the vehicles, getting the data from Copart. And the registration process in which the buyer would get the bidder number and password to login at Copart. But he told me that if you need to work with another programmer to save, you know, definitely must have these skills, these and these and these, working this framework of PHP and all the different requirements that the programmer needed in order to continue the development of the application. So I look for someone in Odesk with all those skills and I only found 6 people. JESUS: Of those 6 people, I remember I think I contacted all 6. Or maybe 5 but at least 5, I did contact and I think everybody replied. But of those 6 people this guy had this evaluations in Odesk and the better feedbacks. So I contacted him, he contact me and we started working together and we had been working for about 4 or 5 years so far. JESUS: No, he was a neighbor. JESUS: Yeah, a very lucky. He was a neighbor we became very close friends, he was a very good programmer, and he helped me in the beginning with that. He just started with getting the data from Copart to put on the website and the registration process but he’s also a very busy person and his rate is very high. So I couldn’t afford that at the beginning. I don’t have enough, I’m not making that– I can’t support that kind of professional people right now. So, that’s why he gave me ok then, I think he even told me to go to Odesk. He knew about Odesk. I didn’t know that Odesk existed, so he even told me where to look for that person. I went to Odesk, I put all the skills and all the requirements I needed and I found 6 people. And those 6 people I’m working with this guy for about 5 years. OWEN: What I get from that too for the listener just in case they don’t have a neighbor like you, who is a programmer, who can help them. What they can also do is possibly look for, maybe someone here in the U.S who has vast experience and have that person [Unintelligible 00:15:20] help them to write the code, that person can help them break down the task into the different parts like you did initially. Break it down to the different parts of what work you need done. And then that person can also now in the second case help, like your neighbor did, help you determine what the skill sets that they need to be able to, the programmer who’s going to take over the work needs to be able to do. So, on one hand, you have a broken outline of the different work that needs to be done and on the other hand, a broken outline of the required skills set that the person who’s going to do the work needs to have. And with those two things the listener can now go out there and try to find someone to do the work. I think it would get them a much closer to the results that they’re looking for. So, let’s talk about the specific systems that you now have in the business that enables you to run on autopilot as you mentioned during the pre-interview. JESUS: Ok, well, right now, when someone registers they can sign the document electronically, the agreement. Once we have the registration done and the I.D. of the buyer, we just click on activate and the system sends the buyer their login information, they need to log in at Copart.com. And they have the initial limit based on the security deposit that they paid. Once they purchase a vehicle in Copart, we get an email from Copart notifying us that this bidder has purchased this vehicle. And what we do right now is we go to their system and we enter the bidder number and the lot number of the vehicle and we click on add. And the system connects to Copart, it gets them, no, we already have the vehicle information so it goes to our system, gets the vehicle information. Obviously we have the buyer’s information too and we have all their different fees that Copart charges. JESUS: So base on the price of the vehicle the system calculates the fees, the broker fees and the auction fees. And generates what is the bill of sale of the vehicle, the declaration affidavit, the email that the buyer receives the notifying that the buyer that he purchased the vehicle, he was the winner of the auction. And I don’t remember. We even generated the documentation we need, if the buyer’s a resident of Florida, we even generates the documents, the forms we need to submit at BMV in Florida to put this vehicle under their buyer’s name. JESUS: The system does that too. JESUS: Yeah, that’s all the paper work. It would take as 2 hours to do all the paperwork if we didn’t have this. It take as only, I think seconds. OWEN: Wow, and during the pre-interview, you actually broke it down a lot more. You said that first of all, it’s going to be the system automatically uploads and updates vehicle data every 15 minutes. And then it now compares bids on your site against the current bid on Copart and notifies the bidder if they– Can you explain that part? JESUS: Yeah, well, that is part of another website. That doesn’t work with salvage reseller, I have another website in which instead of giving the buyers their bidder number and the password so they log in at copart.com and they bid on the auction directly, I bid on behalf of them. JESUS: So, what they do they goes to these websites, and these websites, besides the vehicle information they get at salavagereseller.com. It also gets the current bid in Copart and compares it against the bids I have on my website. JESUS: So, if the buyer is [Unintelligible 00:19:41], the buyer gets an email notifying “Okay, you have [Unintelligible 00:19:45] bid.” Or even if the vehicle’s just get a bidding in Copart.com but it’s not high enough to outbid the buyer. He also, we get an email notifying the buyer somebody bided on this vehicle. And the bidding margin, which is the difference between the current bidding Copart and the bid that the buyer made has narrowed to this. JESUS: So, if you want to increase it you can do it now. OWEN: So, the bidding process is not handled by your website? I was trying to understand the difference between the current website that you have and the another one that handles the bidding. I’m also trying to find out how they work together too. OWEN: Okay. I get it now. JESUS: Yeah, on the other websites, you don’t get a login information to go to bid at copart.com. You get on this website, you bid on this website and this website compares your bid against Copart and notifies you if you need to increase your bid or not. Once they preliminary bidding ends on this website, I get at list of all the vehicles in which my buyers have a bid higher than the current bidding in Copart. OWEN: What’s the website for the bidding , you own that website too right? JESUS: Yes. We have four websites. OWEN: Yeah, okay. Go ahead. JESUS: Because it’s the body and the type of vehicle that you want to purchase. JESUS: I have a salvageautosauction.com, salvagebikesauction.com, salvagetrucksauction.com, salvageboatsauction.com Salvage bikes auction that come. Salvage trucks auction that come, and salvage boats auction that come. JESUS: So depending on with the type of vehicle you want to buy, you raise it on that website. Obviously, if you want to buy a Harley, you will raise then salvage bikes auction that come and you will only see motorcycles in that website. You won’t see trucks, you won’t see autos or boats, only motorcycles. OWEN: Okay. And so, one of the questions that our listeners want to always have me ask is imagine your business kind of like a conveyor belt where it’s like in a factory a conveyor belt. On one end is somebody who’s potentially looking to buy, in this case now, a car. And on the other part that person has bought the car, is raving and is excited about you guys. But they’re behind the scenes, they’re a bunch of different– it could be in this case like machines talking to one another or even people doing stuff just to get that person turn into a customer. I’m trying to figure out if you can like from an overview standpoint give us behind the scenes what’s going on in the different parts to make that transformation happen. JESUS: Well, in order to get the customer we use search engine optimization. All the business is online, everything is online. JESUS: You can go to Copart and you will see in Copart over 75,000 vehicles that are showing on my websites too. But here in my office I don’t have not even one bid. And Copart has more than 140 locations all over the United States. So in order to get those buyers we use search engine optimization. The buyer gets on the website, the buyer searches the website for the type of vehicle and the characteristics of the vehicle he needs. Sometimes they contact us asking questions regarding the registration process, or the characteristics of the vehicles. We always tell the buyers to inspect the vehicles even before registering with us. OWEN: So they go over to the location and check the car out too? JESUS: Yeah, they can do that. JESUS: They can go to the location with the bidder number. Or even without bidder number they can go to the location, they can open an account in Copart and get a buyer number. And with that buyer number they get access to the yard and they can inspect the vehicle. They can bring a mechanic if they want. And I always tell them go and inspect the vehicle first. Make sure it’s the type of vehicle you want and it’s in the conditions that you want. So that if you buy that vehicle you don’t get any but surprises. Because, I don’t know if I’ve mentioned that these vehicles are having involved in accidents. JESUS: Yeah, these are salvaged title. Not all of them but the vast minority of them are salvaged titles. And even if it’s a clean it’s always better to go and inspect the vehicle and you know first-hand why you are buying so you don’t get any surprises. If they do this, if they make the homework as I said– “Okay, this is the vehicle I want. I already showed the car to a mechanic or when we came to see the car. I know I have an idea how much it’s going to cost me to repair it. Or I have an idea how much it’s going to cost me to send that overseas. Because these vehicles you can use it mostly to get parts from the vehicle and to send it overseas. There are people who also fix and repair the vehicles here and get a rebuild title. You will never have a clean title again, so they get a rebuild title. And once they are aware of everything they register on the website and it goes from there. They get the bidder number, the password, and go and buy the vehicle. OWEN: Awesome. And so, your system now handles the entire steps all the way even when they buy, it makes the automatic documents to them. And even they sign online as well and everything is all handled by the website. But I think they go and pick the car at the Copart’s yard. JESUS: Yeah. When they purchase the vehicle they must sign the documents with now you can each sign them. We use EchoSign for that. JESUS: Yeah, EchoSign. So you can digitally sign all the documents except the power of attorney. But other than that you can sign everything online. We have about over 90% of the documents signed. And it takes less than, I think the last time I saw was around 5 minutes for the people to sign. Yeah, it’s amazing. It works excellent, it’s wonderful. That thing is one of the best things that we have done. OWEN: I’m curious, this whole process is all done automatically. Back in the day when you were doing it all manually how long was the average taking? JESUS: Wow. Before we would email the documents, we would attach the documents in PDF format to their email. The buyer would have to print the documents, sign the documents, scan the documents, and send them to us. Or you can put the documents in an envelope and mail them to us. And sometimes they forget, or they don’t have a printer working, or so many things. It would take us, in some cases days because we would even have to call the buyer several times. “Hey, please, don’t forget we need the documents signed.” “I already sent the payment.” “Yeah, I know you already sent the payment and everything. But you can’t pick up the vehicle if you don’t sign the documents.” So that is amazing. It now takes in some cases less than 5 minutes for someone to sign. Since the moment the person receives the email, to the moment we receive the documents signed, it’s less than 5 minutes. OWEN: And what I get from that really is looking at your business as what are the different parts of the business that brings you as the owner friction. And then figuring out how to either automate the specific parts as much as possible so that you don’t even need anybody to handle it. Or in some cases where it’s not a situation where you can automate completely then figuring out how to really systematize it. So that even when you’re not there your employees can really take over and handle it based on procedures and systems you have in place. What you’re saying you only have 3 employees. This just goes to show that when you really automate everything as much as possible, it reduces the need for that many employees. JESUS: Yes, it does. And also, I get a lot feedback from my employees. Anything they see that there is room for improvement they tell me. I even allow them to contact the programmer. Yeah. If you have any issue or any idea, send it to the programmer and send me a copy. JESUS: I will read it. If it’s good I won’t say anything. If I see any problem then I would reply and say something. But other than that we have improved the system a lot by the feedback I get from the employees. OWEN: I’m curious, the typical people who are in the same industry as you are doing the same thing you do, that do not have an automated process as you have, typically, how many employees do they usually have? I want to compare and contrast with what you do. JESUS: I have no idea how many employees my competitors have. But they have to somehow have all the systems working automatically. Because otherwise you can’t do it. It has to be automatically. I remember initially when Copart first opened the broker’s program to get brokers to sell their vehicles to the general public. I remember some brokers asking, “How do I do this?” Because we used to have meetings over the phone. And I would just say to myself, “You need a programmer.” You need to find someone that has the skills necessary to automatically do all these, otherwise you can’t do it. OWEN: Yeah. And so, what challenges that you experience when you initially try to automate the systems in your business and how do you solve them? JESUS: To process 80,000 vehicles every 15 minutes it has to be a very, very optimized process. JESUS: Because if it takes too long but at the time you’re going to update it again, you’re still running the first one that you started. It hasn’t finished yet. So the person has to be very optimized. The computers have to be fast. Also, if sometimes when you get the self-data file, it can be broken. So if the file is broken, so for some reason we don’t download the whole thing. If we don’t take that into account, the website will not show all the vehicles that are for sale. Because we didn’t have time to download them completely. If this happens what we do is that we use the last file we did get completely. JESUS: Once we get another one completely then we can replace the old one for the new one. And so that was quite challenging at the beginning to have that. Also, at the beginning the pictures. For every car we have 10 pictures. So we don’t download the pictures, otherwise we would need a huge storage capacity to have all those pictures. So, while we do it that we link– We make a link to the pictures. And basically that. I think that’s the most– that and the documents. And that was the most challenging part of the process. OWEN: Awesome. Given that trying to, you coming in as you’re obviously you’re not a programmer yourself, trying to build something where it’s totally automated. I’m trying to figure out how did you even stay committed to this whole new direction of trying to systematize and automate your business given all the challenges that are in front of you? JESUS: I’m sorry, I didn’t hear you. OWEN: I mean what made you committed to this whole new direction of trying to automate your entire business given all the challenges that are already in front of you in the first place? JESUS: Yeah. Like 35 ways of doing the same thing. Well, I don’t know if all the website showed the vehicles. All of my competitors websites for all the vehicles. I’m not sure if they do that. But from there I was, but the time before Copart started the broker program, they were only two or three doing this, I’m the second one. JESUS: And now we are like 26, 25 websites doing this. OWEN: So I’m curious too. When it comes to being able to train your employees. I know you don’t have that many because of a lot of the automation. But for those things that you can’t really automate, what kind of training process do you have, with the few employees that you have? JESUS: Okay. I always say that in order to work with me you only need to do one thing. You only need to know how to click. Yeah, that’s it. Because other than that what I have to teach the employees is how the process works. Which is first, which is second. First, they sign-up the registration process, because they don’t do anything. Of course, obviously it’s automatically done with the uploading of the vehicles and all that. That happens behind doors. We don’t have any contact with that. So basically, all the information you need to give to the buyers, that’s very important, so that the buyers are aware of the conditions of the vehicles that we do not have any more information more than what is shown on the website. That’s all we have, that we are brokers, we are not the auction so that they are aware that they are buying from us, not from Copart. JESUS: And basically that. Other than that just put the buyer numbers here, put the lot number here, click here, and that’s it. It will do everything automatically. OWEN: Yeah. And so, how do you track and verify the results that the employees are actually delivering? JESUS: Well, I track it by their registrations. Every time we speak to someone on the phone, that person gets registered, we put a check mark and we could track that way. Because that’s the only interaction we have with the buyers, either on the phone or by email. We don’t see the values here. I don’t see cars and I don’t see people. Buyers, it’s only on the phone and normally by email. We could have a buyer showing here maybe once every 3 months or something like that. OWEN: Yeah. So what I get from that is you track actual registrations that come in as a result of talking to people and their employees, turn the people they speak to actual registrants. And do you also track on the backend to see how many of this would be registered now also end up becoming buyers as well too? Is that something you track as well? OWEN: The conversion ratio, that’s what you mean right? Okay. JESUS: Yeah, the conversion ratio should be over 80%. JESUS: About 8 of which 10 new registrations turn into buyers. OWEN: Okay. I like that because it’s kind of like you look at some kind of key performance indicators and like key metrics. And if in case stuff goes beyond that and you know there’s something wrong you need to jump right in. But you go based on the metrics. And so, how will you say your company has been transformed as a result of automating the bulk of everything at this point? JESUS: Well, it transformed from being only myself in an office for the first year to well, now we are four. The employee that I have that has the list I’m working with me has around a year and a half working with me. And the oldest one has 4 years. These are the only employees that I have in the business. I never have to fire someone or someone resigned and I had to hire a new one. No. The three that have been working with me are the same three that are still working with me. My accountants are very amazed. JESUS: We started with that accountant and then they have seen how my business has been growing over the years. JESUS: Yeah, they are very amazed. Copart, I think they think we are a good broker. Obviously we talk to Copart daily and they tell us that they like to work with us and they like to recommend us to the general public that are looking for a broker. And hopefully I’m thinking about this year we’re going to grow more. Maybe we don’t have to expand the offices and hire 3, 4 more people if have an idea if that works it’s going to be huge. OWEN: Yeah. And so, I’m just curious too. Now that you have a lot of the stuff that you do automating for the most part I’m curious, what’s been the longest time you’ve been away from the office? JESUS: Last time was in May 2011 I think. It was for 3 or 4 days. JESUS: No way. If that was the last break that I took, it was my birthday. I went to [Unintelligible 00:41:12] Thursday and I was back on Monday. But, as the time that I’m in the office, I’m only like 1 or 2 hours. JESUS: I come every day. But I only come 2 hours, 4 at the most. My presence here is not required. OWEN: But you just show because you like to show up? JESUS: Yeah. I like to come, I like to see how business is going, how things are going. Obviously I have to sign documents, I have to sign the titles of the vehicles, I have to go to the bank, I have to go to the tag agency. That’s something that I have to do. It’s me, I don’t delegate that to anyone. But other than that I get bored. JESUS: Now, I have lot of time for myself. JESUS: The other day I had some guy ask me if I was retired. I’m not retired. I love to work. But I only work 2 hours a day. OWEN: That’s awesome. And so, with all these free time that you have in the business, what areas in the business do you now focus most of your time on and why? OWEN: Increase sales, okay. Very simple, I like that. JESUS: Yeah, that’s my job. The job of my employees is customer service. We’re with customers so customers have the answers to the questions that they have, help the customer in every way we can. And my side is increase sales. JESUS: I have to look how I can increase sales. What can be improved. Anything that I can do in order to increase registrations and obviously sales. We all here speak Spanish and English. JESUS: And since we’re in South Florida, we have a lot of Spanish speaking customers. So that’s something pretty good because when I look at the statistics on salvagereseller.com, most of the time I have more Spanish speaking customers than English speaking customers. JESUS: So it’s good to try to find ways so I can improve sales by selling more vehicles to Mexicans, any other countries, South America or Central America, or even Europe that we can look for, that we can do to increase our sales. OWEN: New market to sell to specifically new niches in order to increase sales for those specific niches. I get that. Go ahead. JESUS: Because salvaged title cars are very cheap. The price of a salvaged vehicle, depending on the damage obviously, is going to be at least 30% cheaper than the price of a clean title vehicle. And there is something that people from South American and Central America are looking for. They’re looking for the right vehicles in the United States and bring them to their country, it doesn’t matter if the vehicle is damaged because they will repair it there. The cost of labor there is a lot cheaper than here. They can buy the parts there or they can get the parts from here and get it cheap there. So that’s a huge market. Here in the United States, people don’t like to buy vehicles with us, title’s different than clean. JESUS: And they don’t like to repair. Here, if something breaks you just get rid of that and you buy a new one. JESUS: I sell the cars that you get rid of. Those salvaged cars. So I own 3 vehicles with a salvaged title that I have repaired. I have saved a lot of money though in that. And I don’t sell them, those are my personal cars. So everytime I meet someone and we’ll start talking about what I do, “Well, I sell damaged vehicles. All the vehicles that you see on the streets that have been involved in an accident, or you see on the TV that are flooded, that’s what I sell.” And you would ask me, “Oh, wow, you sell that? But that’s not good.” “Yeah, of course it’s not good, you have to repair it. OWEN: Yeah. Someone else’s rubbish is someone else’s gold is basically what it is. OWEN: Yeah. So what would you say is the very next step for someone who’s listening to this all the way to this point who is thinking of being able to automate the entire the business like you’ve been able to do. What do you say is the very next step that he or she has to take? JESUS: Well, first of all you have to find their niche. It’s very nice to have an online business. An online business gives you the freedom to go work from anywhere. So, if I’m on my laptop I can work pretty much from anywhere I have an internet connection. So find what you want to do. And if you don’t have the skills like me, I didn’t have those skills. Actually, I am a programmer, but languages that are not longer used in COBOL and RPG. JESUS: Yeah. And I forgot how to program in COBOL and RPG, I forgot that. But what you need to do is find someone that has the skills necessary to do what you want to do. And explain them exactly what you want to do. This website’s like Odesk.com or I think the other one is Freelance.com. JESUS: Elance.com. If you go there you will find someone with the skills needed and with the rate that you can afford. And beginning there you can do it. It’s not impossible, it’s something you can do. OWEN: Definitely. And so, final question for you. What books would you say have influenced this way of thinking about creating systems around what you do and try to automate them? What books have influenced you in this way of thinking and why? JESUS: Wow, I can’t remember any book that influenced me. Since I got here in the United States the first thing I wanted to do is obviously have a business of my own. Then I wanted it to be online. I have always been a car enthusiast. I love cars, I have always loved cars. And when I found that there was a website selling vehicles to only dealers I found a niche. I said, “Okay, this is it. If I give access to the general public to these vehicles, there is a potential business there.” That’s what I wanted to do. And I’ve done it. OWEN: So basically it’s really finding that specific niche that you can be on and really shine as the big fish in the small water, or something like that. OWEN: It’s also the foreigner hustle as well. When the foreigners come to the U.S. There’s so much opportunity here so we’re on the hustle. OWEN: Oh gosh. And so, what is the best way– Before I even ask that question, I’m wondering, is there a specific question that you were hoping I would have asked you during the interview that I didn’t get to ask you yet? If so, what is that question and post the answer. JESUS: Automatically, yeah. Doing all the processes that’s automatic as possible. I hope this conversation helps others. JESUS: And if you have a good idea, do it. OWEN: That’s good. And so what’s the best way for the listener to connect with you and thank you for doing the interview? JESUS: If you need anything about where to find something or how to something. Send me an email and I might be able to help you. OWEN: Thank you very much. And so now I’m speaking to you the listener. You’re listening to this interview all the way to this point with Jesus. Talking about how he automated his business. I’m sure you’re very much interested in stuff like this. And if you really enjoyed this interview I want you to give us a feedback on iTunes. And to do so you go to SweetProcess.com/iTunes and to do so you go to sweetprocess.com/iTunes and it’s going to redirect you to our iTunes channel where you can leave hopefully a 5-star review. And the reason for leaving a review is that the more reviews we get the more other entrepreneurs read the reviews and like– why are they leaving reviews? They checkout our podcast. And the more eyeballs and listeners we get to the podcast the more we inspire to go out there and get entrepreneurs like Jesus to come on here and talk about how they’ve been able to create a business that runs without their constant involvement. And finally, if you’re at that point in your business where you’re tired of being the bottleneck in your business and you want to get everything out of your head and document step-by-step how you get tasks done so your employees know what you know, sign-up for a free 14-day trial of SweetProcess. Jesus, we’re done. JESUS: Okay Owen, thank you very much. It’s very nice talking to you. OWEN: Thank you very much. If you enjoyed this episode, Click Here for more information on How to Leave Us a Positive Review on iTunes! Your review will help to spread the word and get more entrepreneurs like you interested in our podcast. Thanks we appreciate you! Find a programmer to help you automate the most time-consuming and work-intensive parts of your business. Create systems for your business so that your employees always know what they need to do to be a team player. Create a simple system to track the important metrics and results in your business.